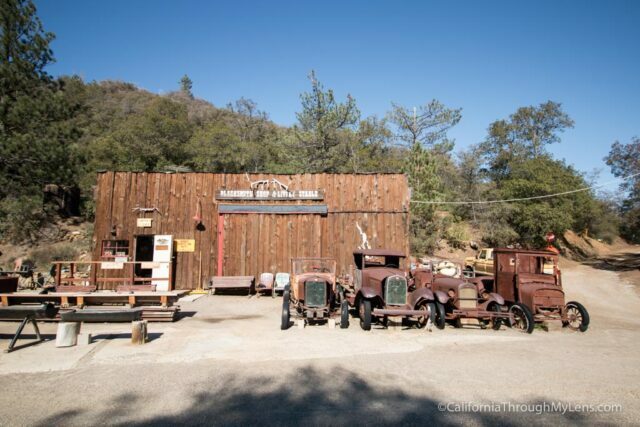 The town of Julian is a fun little hideaway that is visited often by people from San Diego and Temecula for the excellent pie. I have driven there on a few occasions just to get pie as well; it is that good. 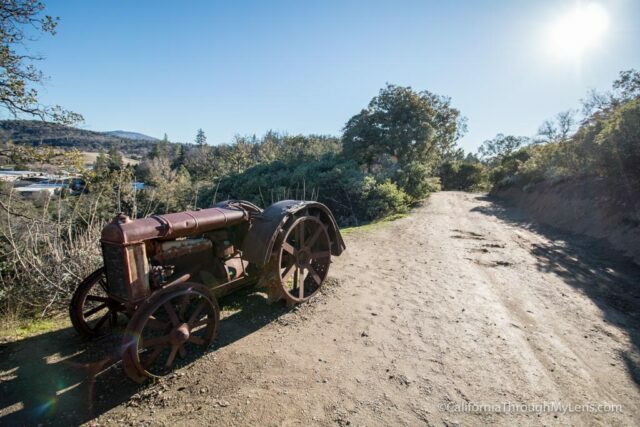 That being said, the town of Julian has a lot more to offer, such as hikes to summits and waterfalls, as well as a great old gold mine that has a fun tour. 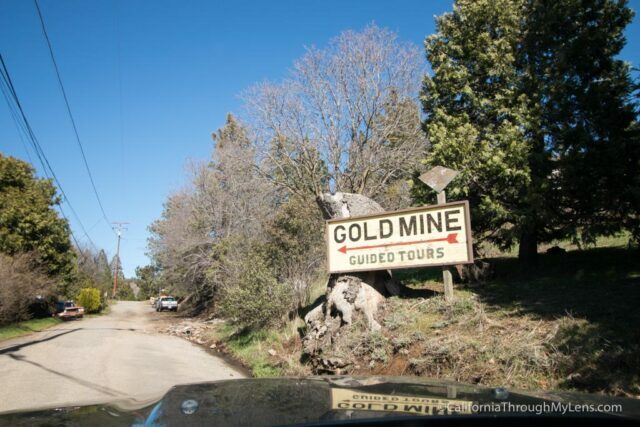 I thought it was going to be pretty touristy and weak when I was driving up to it, but what I found was one of the best mining tours I have ever been on; I recommend you check it out and here is all the information. From the town of Julian, whose downtown is only a few blocks, head south on Main Street and then take a left on C St. Follow sings for the mine as you wind around on the one lane road till you make it to the entrance. There is parking in the lot next to the mine. You can technically walk from the town to here but I would just drive. 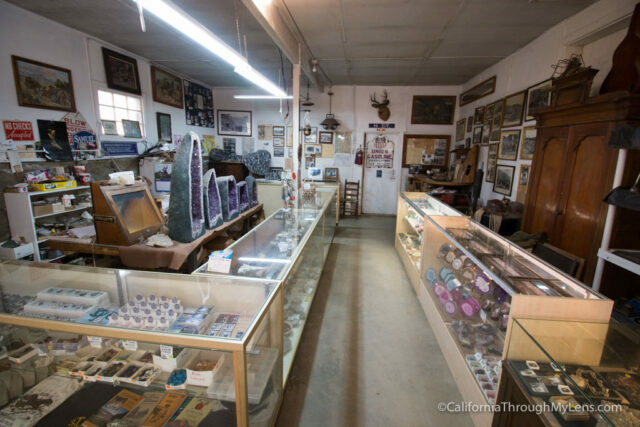 Upon parking, you will make your way into the company store which has gems, gold flakes and all sorts of other antiques. You will then pay your $10 and wait for the next tour. We set out on our tour with Matthew, and I have to say he pretty much rules. He was hilarious, making jokes and telling stories during the entire hour long trip. 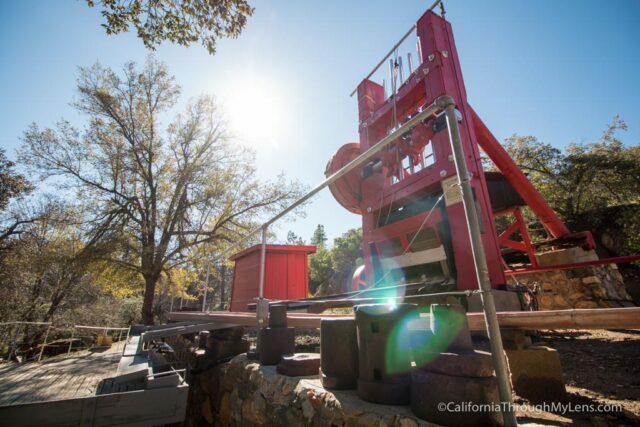 We started out by heading up to the stamp mill. They have two stamp mills here, one large one with five stamps and one small one with only one stamp. From here we headed over to the gold panning bins and were taught how to pan for gold (Chris from LastAdventurer.com is in the above photo). I had no idea this was a part of the tour, and it was a super fun addition to the experience. 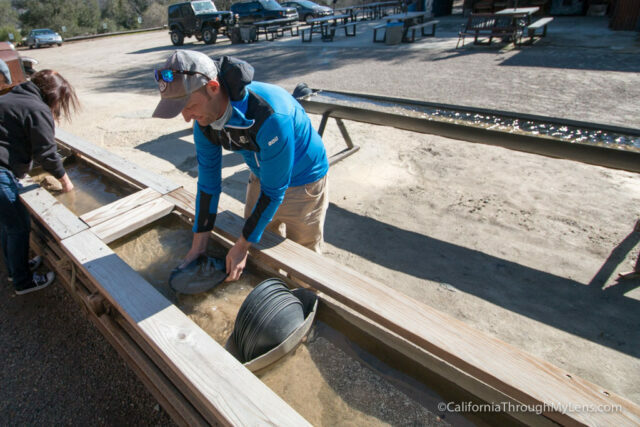 There is actual gold that is put into the panning area, so that makes it even more exciting to find. 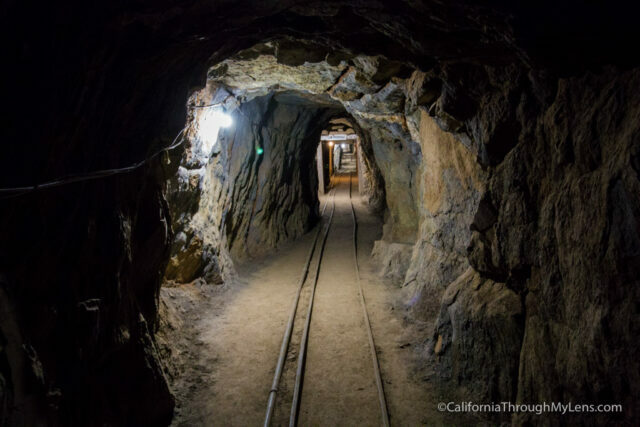 After panning for gold and putting it back, we headed over to the entrance of the mine. The next hour was spent underground in the mine itself, which was awesome. 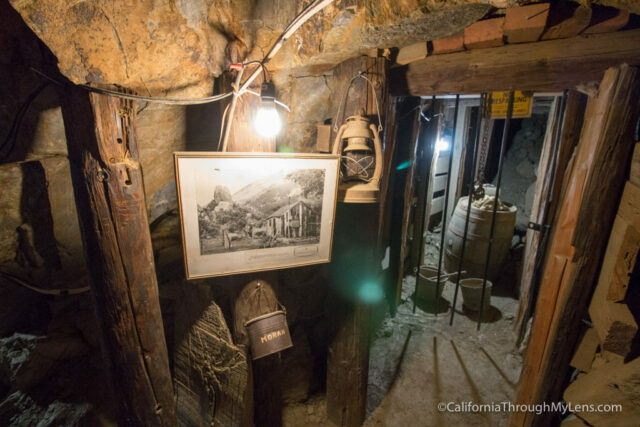 We ducked low hanging walls, explored corridors and learned about the town and the mine’s history all while underground. 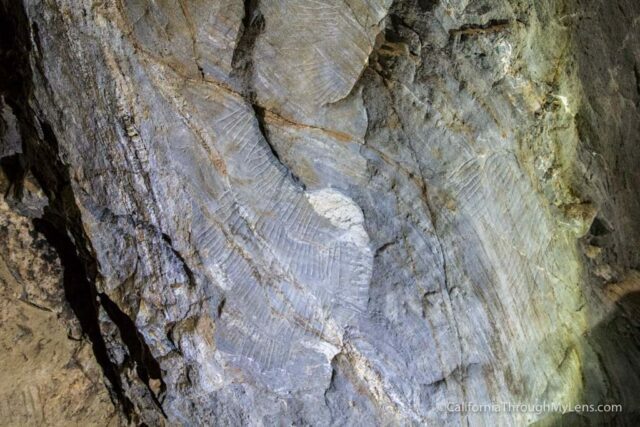 If you don’t like this kind of thing, do note that you will be underground for a long period. 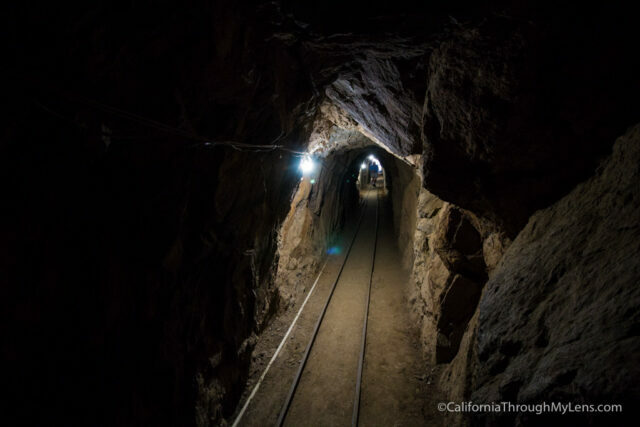 The mine is well lit, with hanging light bulbs all along the path you will be taking, and it is tall enough that it never felt claustrophobic to me. 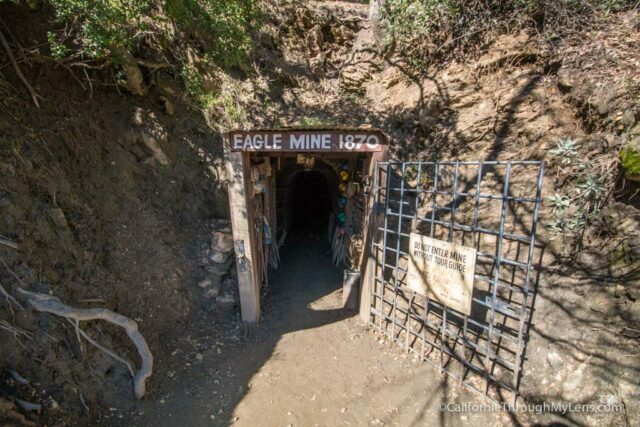 This mine is actually two different mines, High Point Mine and Eagle Mine. 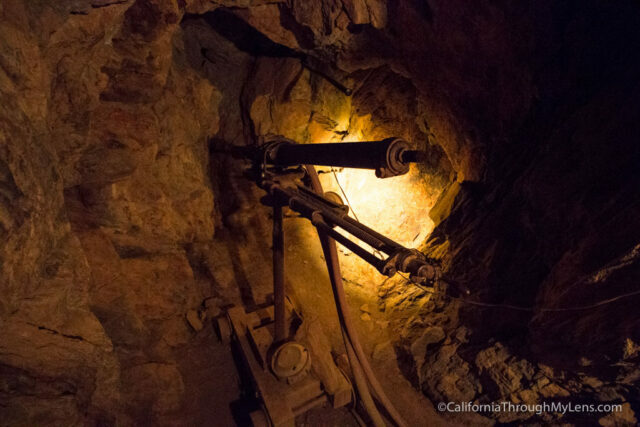 The High Point Mine produced more gold then Eagle Mine, but they ended up forming an agreement and working together so that High Point could have access to the Eagle Point Mine’s stamp mill. 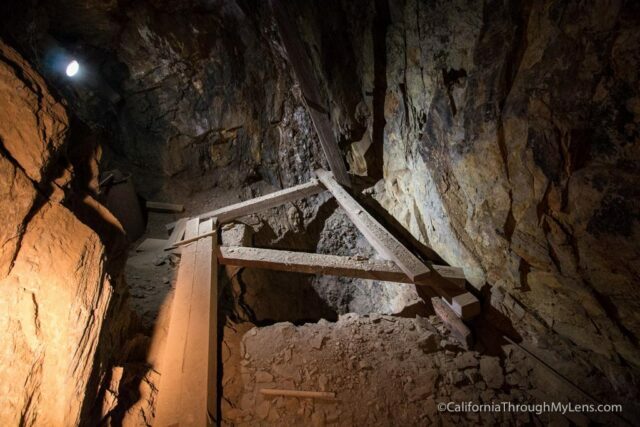 This is why the two mines connect, and you can walk completely through them. 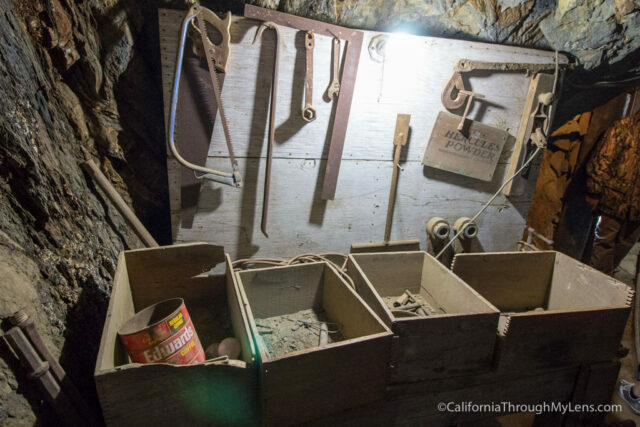 All along the tour, there are sections with antiques and artifacts found in the mine, including old helmets with candles, boxes of tools and boxes that would have held dynamite. 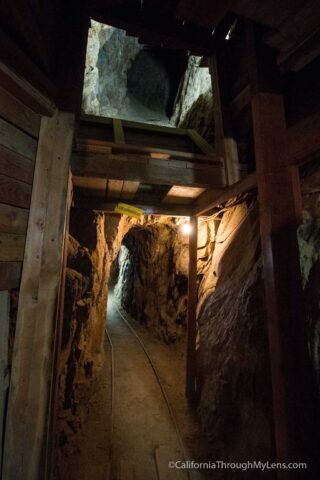 In the middle of the two mines is the large vertical shaft that would have taken miners up to 400 feet down to the other mine levels. 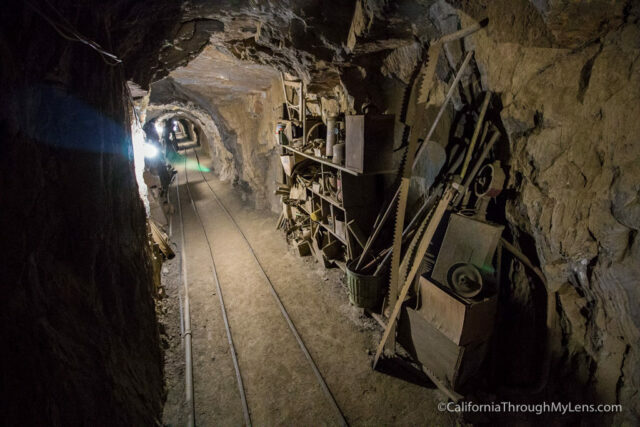 There is also a corridor of the mine that has the tools they used to dig/explode pieces of the rock. It has one of the old tools on display for you to see. 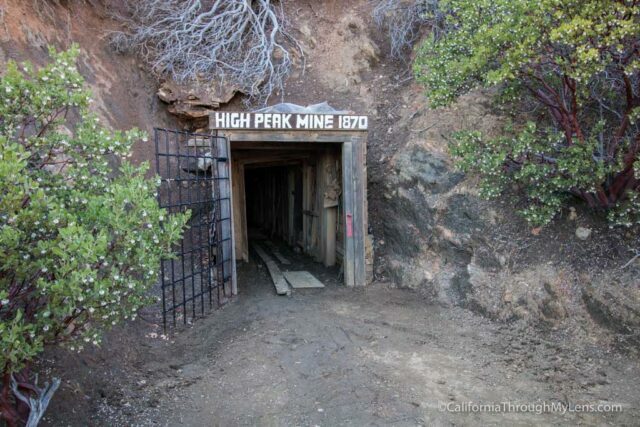 This mine was operational from 1870 to 1934, and it took about 100,000 dollars gold out of the mountain. This would equal a few million in today’s money. Before exiting the mine, we got to see a shaft that was created to drop ore down from other levels into the carts waiting below. I had never seen this in a mine before, and it was pretty cool. 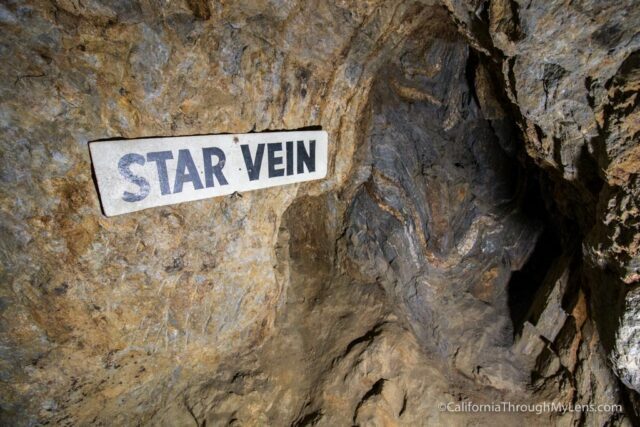 After leaving the mine, it is about a tenth of a mile to walk back to where you parked your car. Here is a vlog I made exploring this mine and a hike in the area. 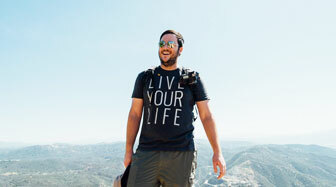 This really is a fantastic experience that you should do with your family in Julian. 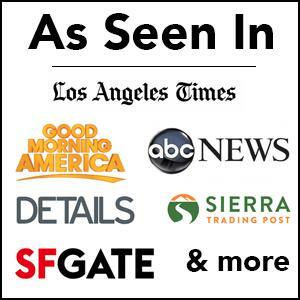 I recommend asking for Matthew as he is great, but either way, just make sure you check it out. Let me know what you think in the comments.